J.M.W. 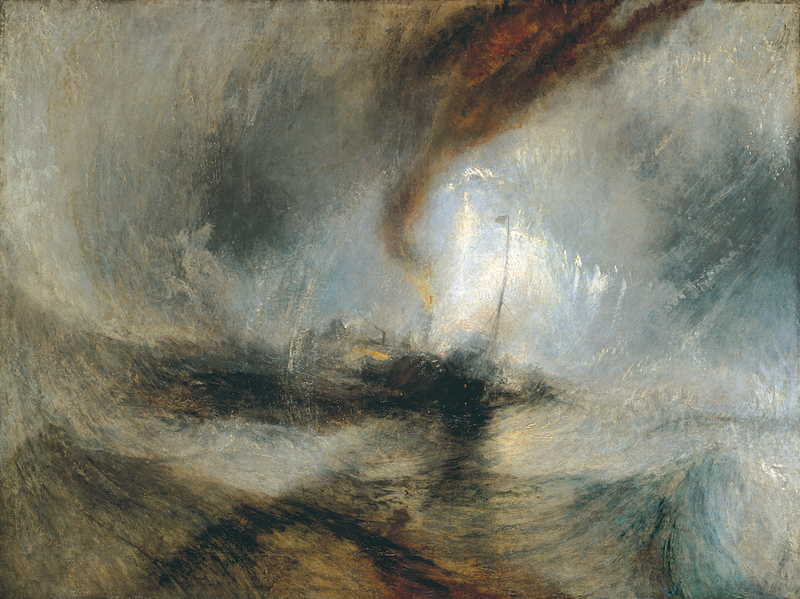 Turner; Snow Storm—Steam-Boat off a Harbour’s Mouth; 1842; oil on canvas; 101 x 89 in. Tate Gallery, London. Published 23 April 2016 at 1000 × 749 in Lineage.